I was looking high and low for vanilla beans. I searched all the grocery stores in my town and came up empty. I figured I’d have to order them online and thought what a pain! I had one last place in my area to try and finally had some luck. Bulk Barn has vanilla beans! I had to ask about them though because they weren’t located in the aisles. There was a little box at one of the cash registered filled with vials of vanilla beans. The cashiers must have thought I was nuts because I shrieked when she said where they were. I bought a bunch and went back a few days later with more. Who knew vanilla beans could be that exciting? There was a reason why I was so excited to find them. I wanted to make Vanilla Bean Ice Cream. With my newly purchased vanilla beans, I went home that day and quickly whipped up this batch of deliciousness. 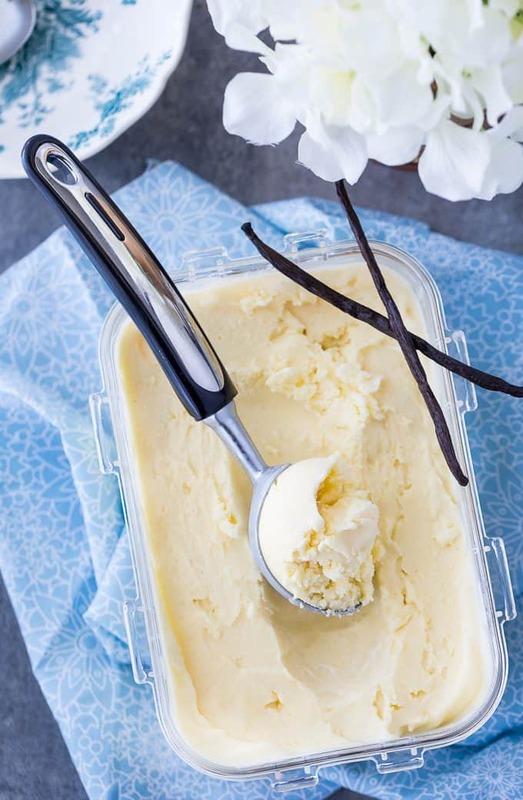 This ice cream is a little more work than regular Homemade Vanilla Ice Cream, but trust me, it’s worth it. It is so creamy and pure. One bite and I knew that my hunt for those elusive vanilla beans was worth it. You need to cook the vanilla custard on the stove, but be careful not to scramble the eggs. There’s a fine line between a custard and a pot of vanilla scrambled eggs. Keep an eye on it and don’t let your pot go too high or for too long. The colour is more like a French Vanilla Ice Cream with it’s yellowish tinge. I think it gets it from the eggs; there are 7 eggs in this recipe. Don’t worry, they aren’t raw eggs! If you can’t find vanilla beans in your area, Amazon has them. Hopefully, they’ll be more plentiful where you live. I live in a rural area so the struggle to find ingredients is real. This batch makes about six good sized servings. It didn’t last long at my place once my kids and hubby found it in the freezer. Do you use vanilla beans in recipes? So creamy and pure, one bite and you’ll be in ice cream heaven. Made with real vanilla beans! Add milk and cream to a saucepan. Split the vanilla bean in half lengthwise. Scrape out the seeds into the saucepan and place the vanilla bean in the saucepan. Bring saucepan to a boil over medium heat. Reduce heat to low and simmer for 30 minutes, stirring occasionally. Add eggs, egg yolks and sugar to a mixing bowl. Mix on medium speed for 2 to 3 minutes, until it thickens and becomes a pale yellow colour. 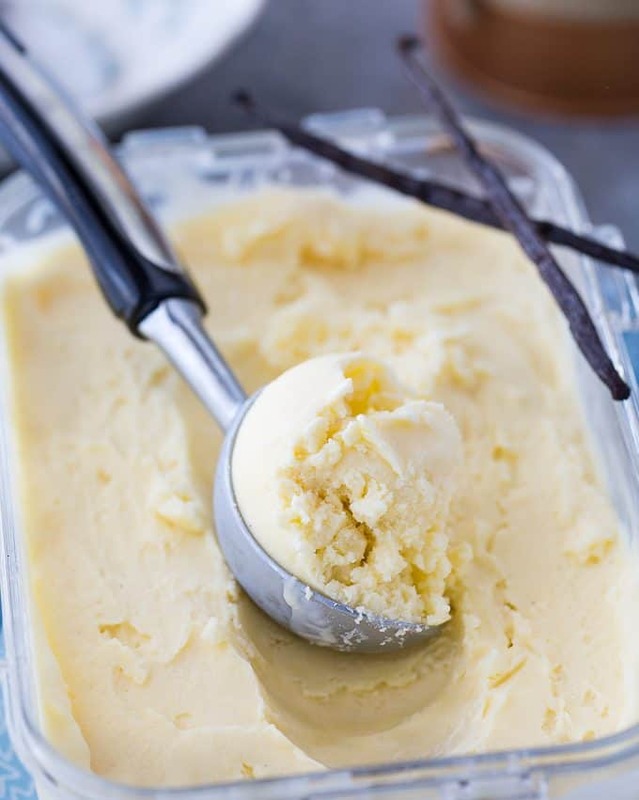 Remove the vanilla bean from the saucepan. Measure 1 cup of the liquid and slowly pour into the mixing bowl on low speed to combine. Pour egg mixture into the saucepan and stir. Cook over medium-low heat, stirring constantly, until the mixture thickens. Pour into a bowl and cover with plastic wrap. Push the plastic wrap down so it’s flush against the mixture. Chill completely in the fridge. Pour the chilled mixture into an ice cream maker for 30 minutes. Transfer to a freezer safe container and freeze for at least 2 hours before serving. Yum, will have to try this in my ice cream maker. I know I can get the Vanilla Beans at Bulk Barn. 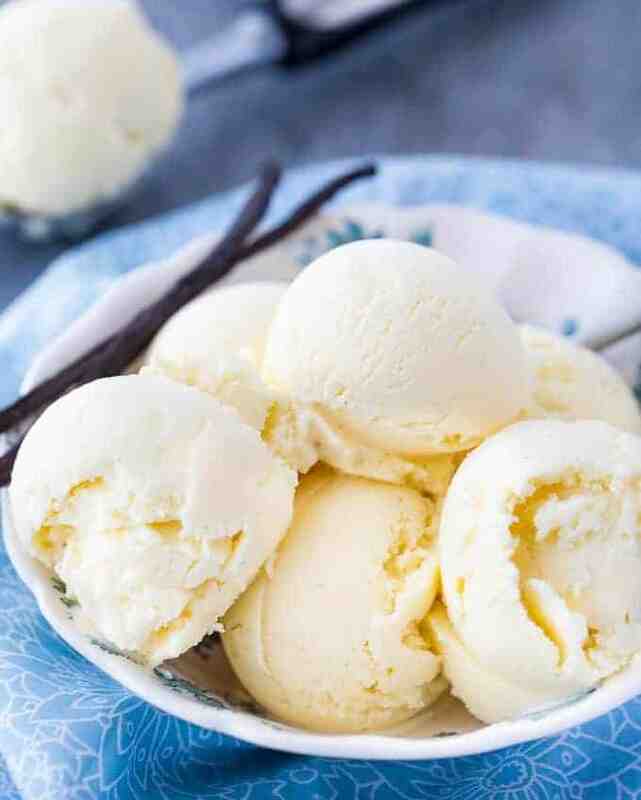 I love vanilla ice cream and vanilla bean. The Vanilla bean gives it so much flavor. And your ice cream looks amazing. I want to make some! Thanks i would love to try this recipe i like it when i make my own because i know whats in it !! 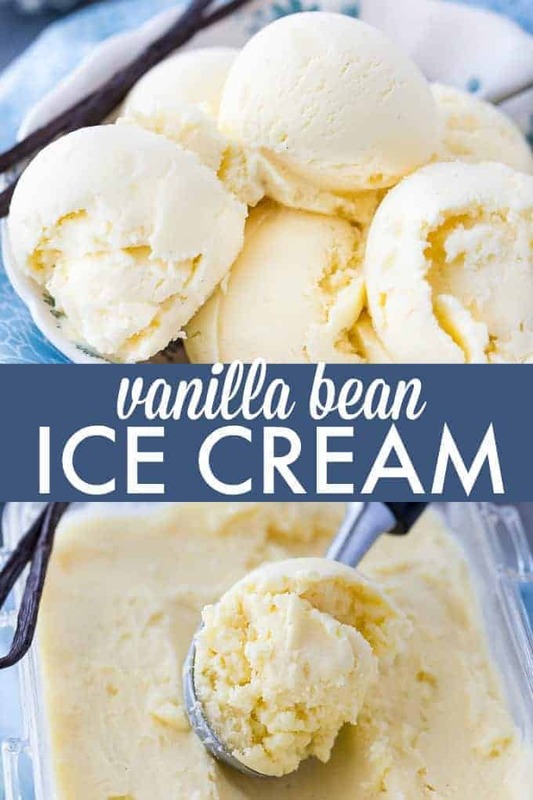 This sounds like a great ice cream recipe to make, I have made a couple vanilla ice cream recipes but not using the vanilla bean and its just not the same! This looks so creamy and delicious.I bet it’s way better than store bought ice cream!! I honestly can’t wait to make this – it will be so good with a little blueberry coulis drizzled ontop! 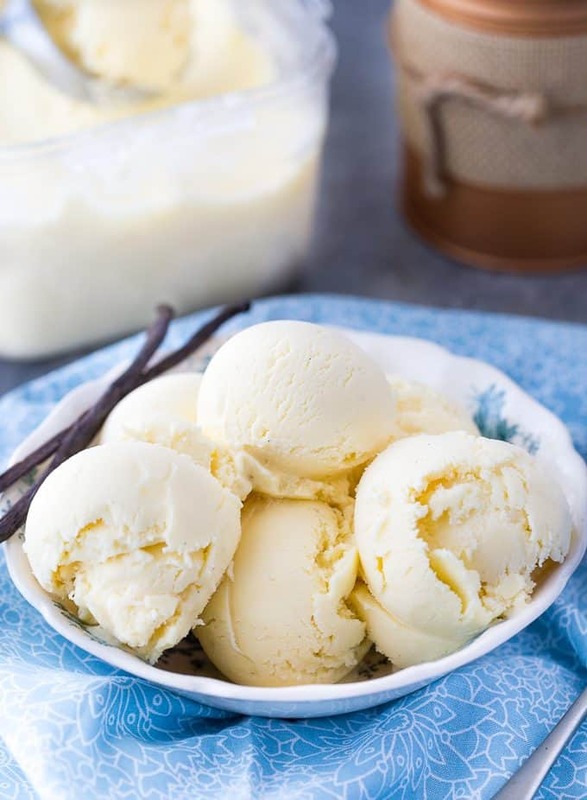 There is nothing better than homemade vanilla ice cream. Wish I had an ice cream maker to make some. Thanks for sharing the recipe. I’ve never had homemade ice cream before. I bet it’s delicious. Sometimes the simple flavors are best. Add a little chocolate syrup and this is perfect. I’ve never used vanilla beans, but I may now! Looks delicious! I love Ice Cream & Vanilla is my favorite, especially if I have fresh sliced Strawberries!! I have never made homemade ice-cream . I think its time to try. Costco is carrying vanilla beans again, at least the last time I was there they had some. 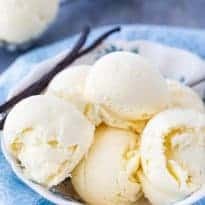 I’ve been looking for homemade vanilla icecream recipes. Thanks so much! 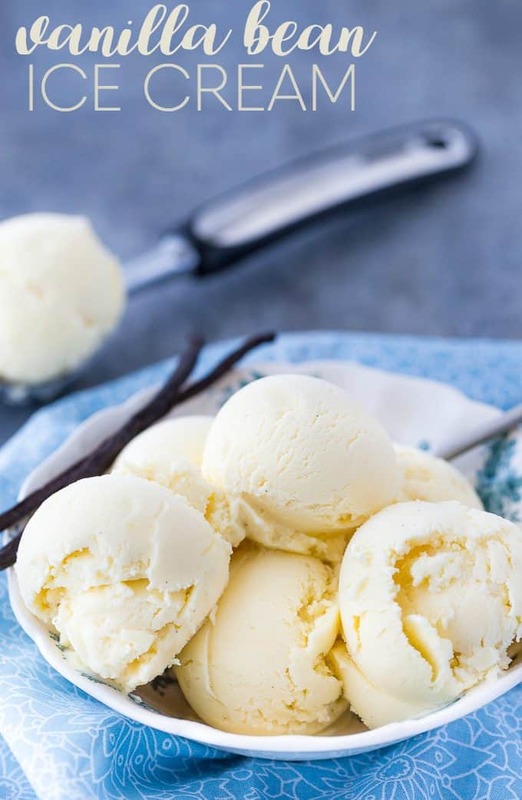 There is nothing better than ice cream made with vanilla beans. Thanks for sharing! 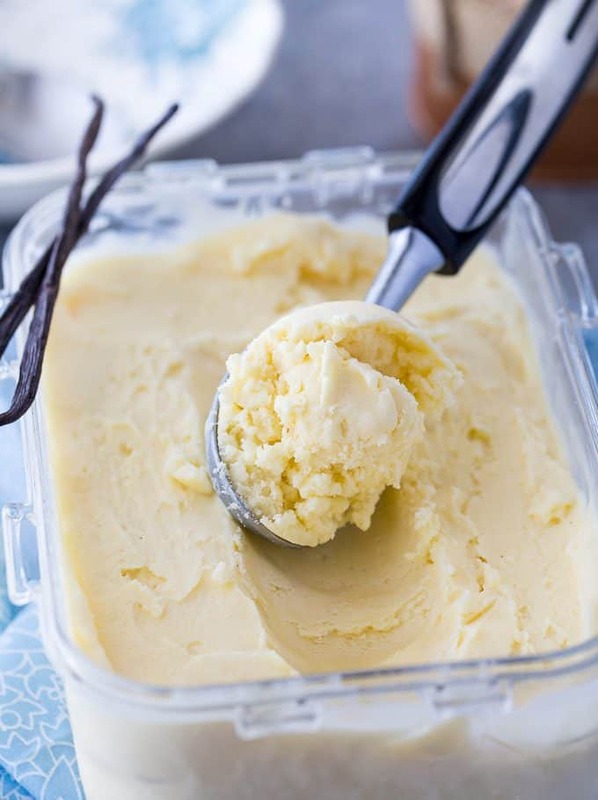 I use vanilla extract for most of my baking but I can see why you need the vanilla beans for this yummy ice cream. sounds like it would be so rich and creamy! Vanilla beans are pretty odd looking! But I’ve seen them by the registers in various stores! Vanilla has to be the best basic ingredient. Anything can be added to it. It can then be the topping or side dish of many desserts. I love the taste of real ice cream like this, so much better than store bought with additives. I’ve never heard of Bulk Barn. Are they just in your area? I think they are all across Canada, but I could be wrong! This would be an awesome recipe to make in that it is so healthy. I mean, how much better than whole bean vanilla can it get? thanks so much for the recipe share. Thanks for sharing this delicious Vanilla Bean Ice Cream, my favorite flavor! Hope you will come back to see us at Full Plate Thursday real soon and have a great week!